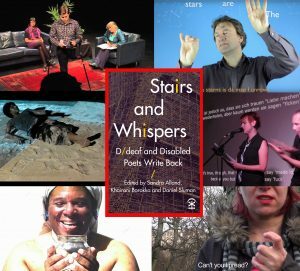 Stairs & Whispers: D/deaf and Disabled Poets Write Back is the first major UK anthology of poetry and essays from D/deaf and disabled writers, published by Nine Arches Press. Join writers, disability activists and co-editors of this groundbreaking anthology – Sandra Alland, Khairani Barokka and Daniel Sluman, alongside fellow contributors – for an afternoon of poetry, film and discussion around disability and literature on Saturday 8 July at 3.30pm – 5pm. 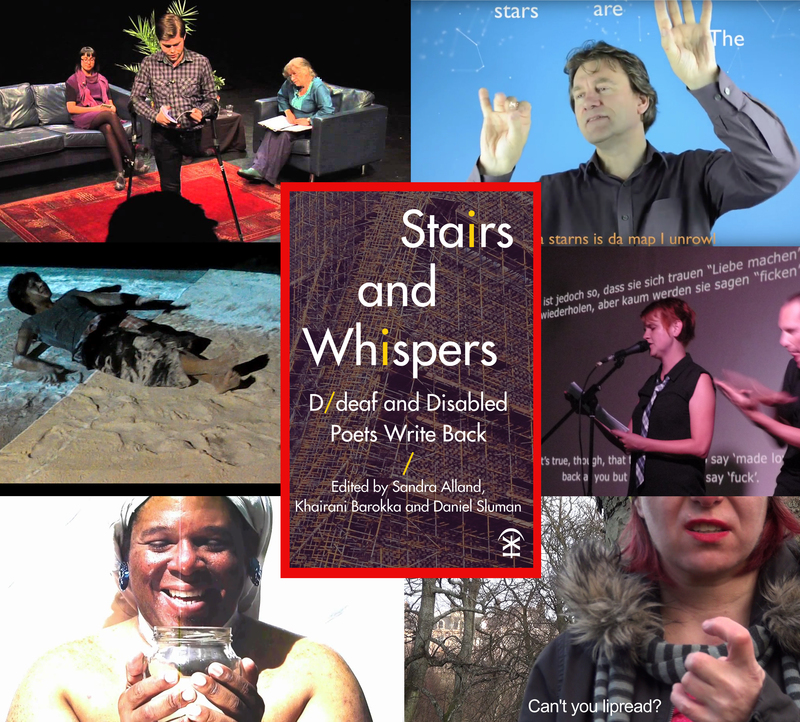 At an accessible venue in Ledbury’s Community Hall, in a BSL-interpreted set, the Stairs and Whispers editors will present poems from the book and connected video poems. In a political climate that constantly threatens to marginalise disabled people, Ledbury Poetry Festival hosts this afternoon of poetry and discussion that explores, empowers and represents the realities of D/deaf and disabled poets in their own words in present-day UK.